The definition of the term “hazardous materials incident” may be broader than you believe. Not all incidents are as dramatic as a chemical spill or a fire caused by a defective lithium battery. Even an error that creates a slightly higher risk of an incident may be reported – such as the shipping of undeclared dangerous goods. 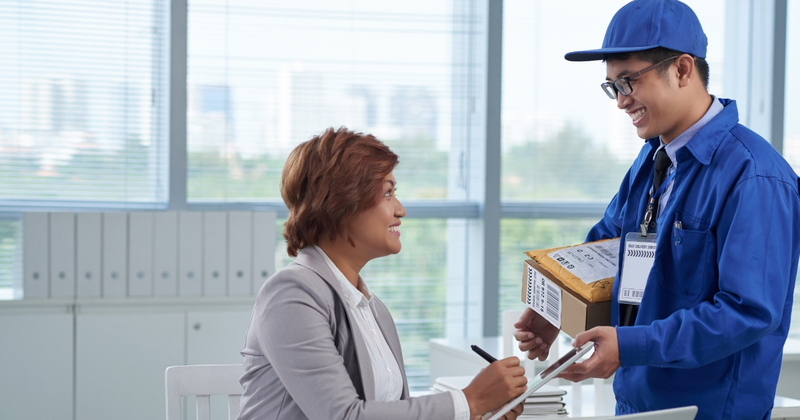 The issue is prevalent enough that the Pipeline and Hazardous Materials Safety Administration (PHMSA) has created a new campaign promoting more careful examination of packages for potential hazmat/dangerous goods. The name of the program gives the clearest instruction for preventing the problem at hand: Check the Box! We mentioned earlier that not all hazardous materials incidents are the same. Similarly, Check the Box reminds us that not all dangerous goods are as obviously noticeable as, for example, drums containing flammable liquids or compressed gas cylinders such as industrial size fire extinguishers. In fact, many household items either contain hazardous materials or may themselves be considered hazardous materials. Lithium batteries, aerosol sprays, and adhesives – all common items used in daily life – are listed in the US Department of Transportation’s (DOT) website for the campaign. As the Check the Box FAQ page states, the designation of “hazmat” simply applies to anything that may “pose an unreasonable risk to health, safety, and property when transported in commerce.” The truth is that you can find many examples of this in your own home. These include the medicine you keep for colds, the chemicals you use for cleaning around the house, and the batteries that power your electronics. Even painting materials, fire extinguishers, and nail polish removers fit the definition of a hazardous material. It is crucial for hazmat employees to make sure that all packages containing hazardous materials are correctly classified, identified, marked, labeled and documented when applicable. Anyone involved in the transportation of hazardous materials in commerce needs to know what exactly is contained in the packages they are handling and shipping before offering to carrier. Undeclared dangerous goods increase the risk of a hazmat incident. Check the Box encourages shippers to review the Safety Data Sheet (SDS) of the items that will be shipped. The SDS provides information that can assist in the classification and identification steps in order to locate the articles/substances on the Hazardous Materials Table, which provides further instructions on how these products must be packaged, marked, labeled and documented if required. Communication is critical, and this is accomplished by providing the appropriate marks, labels and shipping papers for the package(s) that will be offered for transportation in commerce because they would then convey the hazardous nature of the package’s contents. All this is vital to preventing accidents that can require emergency response, and it all starts with the simple precaution of checking the box. “Checking the box” may sound simple enough, but the actual identification of dangerous goods is not always easy. Hazmat employees are required by federal law and international regulations to undergo training. Knowing precisely what to look for when examining packages for undeclared dangerous goods, as well as how to properly package, mark, label and preparing shipping papers, are accomplished through proper training. Hazmat University’s online hazmat training courses provide all this information and more. Whether you need shipping by air training, shipping by ground training, shipping by vessel training, or a multimodal course for any combination of these programs, we have the knowledge you need. Register today!